There is no doubt that this is one of the most expected matches in the first round of Champions League.Both teams are very powerful and should be tough clash.Roma are winless against Atl Madrid in their club history and their team should be motivated to record their first win against that opponent. Atl Madrid are undefeated from 8 matches,where they recorded 3 draws and 5 wins.There is no doubt that they are motivated to start the campaign in the best way. There were significant changes this summer in Roma. There’s a new sporting director Monchi, new coach Eusebio di Francesco and the squad is different. 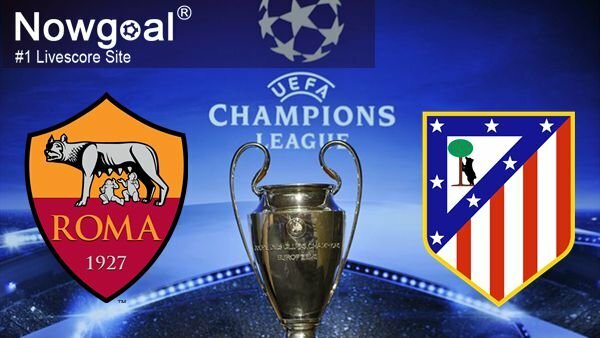 Roma take on Atletico Madrid on Tuesday at Stadio Olimpico in UEFA Champions League. “Simeone’s squad have a clear identity. Perhaps less flair, but very tactically sound and they always know what their role is. They have reached two Champions League finals and you do not do that by accident. They have strong mental and physical qualities. For us to compete with them we have to also go out on the pitch with those same characteristics – together with our own playing ideas,” said Di Francesco. Schick is out, Peres and Florenzi are doubts. Atletico have lost two UCL finals in past few years, but they are not giving up. “We don’t feel inferior. What happened in previous years serves us as an experience. We are living day by day and tomorrow we start exciting competition. Fans believe in our club, we are growing in all areas. There are young players who are making improvement, in January we’ll be able to strengthen the squad and we have a new stadium,” said coach Diego Simeone. In conclusion, it seems that this might be an interesting clash with a couple of goals. Roma’s new coach Di Francesco is offensive-minded and hosts will try to win. However, I think that Atletico are capable of scoring as well. In my opinion there may be at least 2 goals scored in this outing.